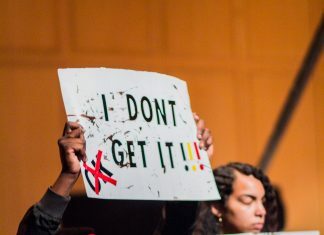 The incident was reported to Public Safety and recorded in the campus crime log as “bias incident – motivated by race,” but the DePauw community was not immediately notified about the incident. Today, Alan Hill, vice president of Academic Life, responded to an email sent by a faculty member who questioned the apparent absence of communication. Hill told faculty, “our DePauw Police and CLCD team took this matter very seriously.” According to Hill, BIRT (Bias Incident Response Team) responded immediately after the report was made by a student, along with DePauw Police and CLCD (Campus Living and Community Development). DePauw Police is currently investigating. In the past, the campus was notified via email from Public Safety about bias incidents soon after they occurred or were discovered. 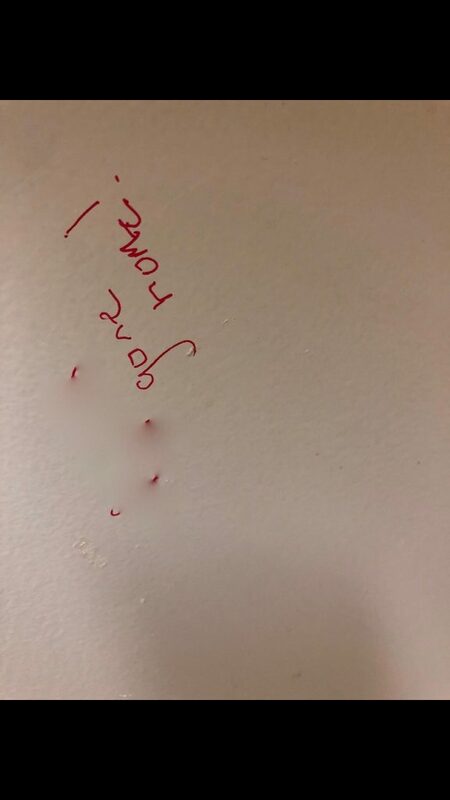 This is the first reported incident of racist graffiti of 2019. In the spring last year, six bias incidents occurred within a week. In October of 2018, three bias incidents were reported, all racially motivated.